And you know what? I can totally see how her children and their lives are all over this set, but just how easily transferrable the images and phrases are into our lives too. I wanted a simple card today, and I wanted to show off the beautiful silhouettes in it. 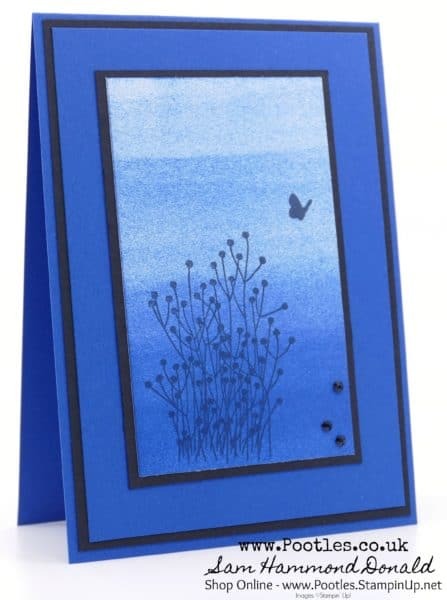 I went with Blueberry Bushel because I wanted a faded twilight look to the card, for no other reason than that’s possibly my favourite time of day! But the Sponge Rollers made it really easy! And while the card doesn’t have much ‘actual’ dimension, I scattered 3 black Faceted Dots at the bottom. I love the set, love what it stands for, and love how it’s helped me make a gorgeous card. 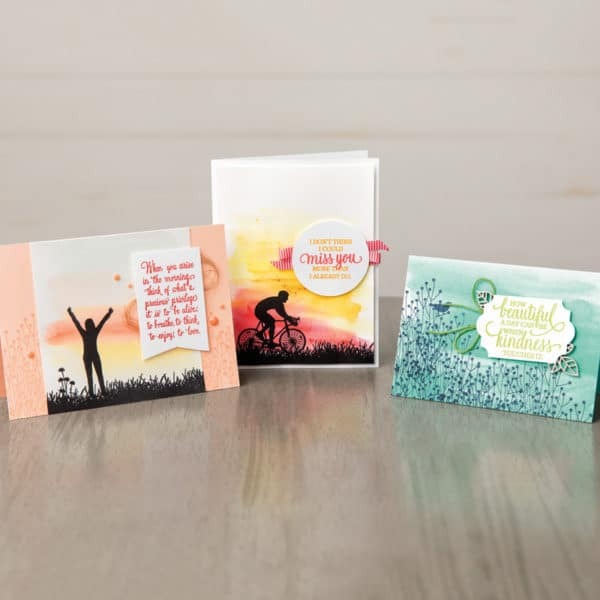 But I wanted to show a couple more ideas, taken from the Stampin’ Up! catalogue, so we have a few more ideas to inspire! Such a tender c ard!! Sam, have you made a video on how to obtain the different shades of blue effect? Please, if you have, refer it to me. Thanks!! 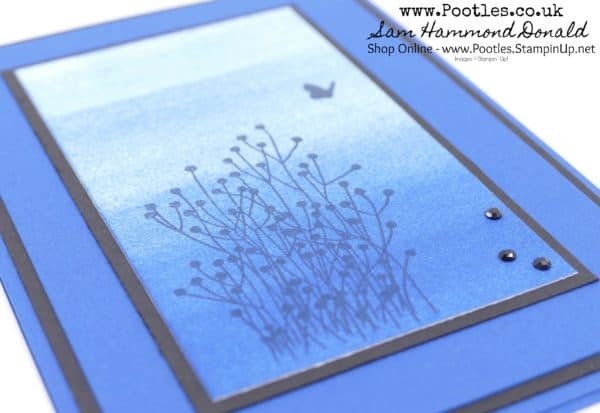 Beautiful card and stamp set.